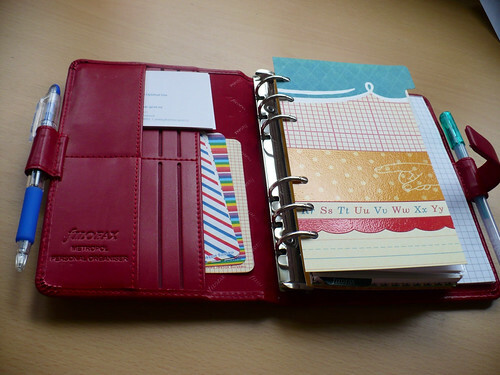 I really like having pops of colour in my Filofax, and these new dividers do it nicely for me in my new red metropolitan Filofax. I made them from a cardstock set I have, that's all about retro stuff, and some of it was such big patterns that it didn't really work, but I picked out the patterns that did. The pattern with the alphabet on it goes in the front of my binder and it's a nice cheery touch when I open up. And lovely little bits of colour down the side! I used some kikki-k dividers as a template (they were boring grey) but didn't make as many as came in that set, which is why the tabs don't go all the way to the bottom of the paper. Would anyone be interested in buying these if I were to put some sets on etsy? I know lots of people make their own but maybe there are people out there that would rather get them pre-made? 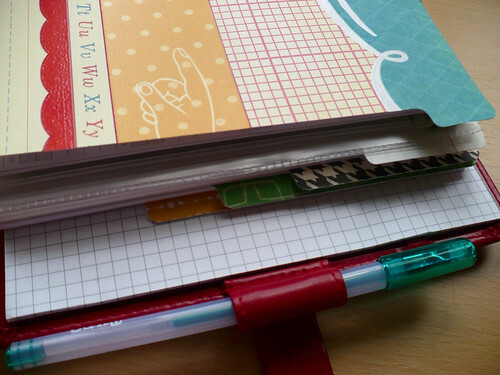 I love your dividers and think your right that they add a bit of colour to a filofax. I would be interested in buying them but can someone living outside the US buy things off of Etsy. Out of curiosity, how thick are these dividers? Are they heavy duty cardstock? It looks like they might be... I'd be interested as well; they are lovely! My issue is that I use the compact regency; with the limited space as it is, and with everything I have in it, there's not much room for extras. 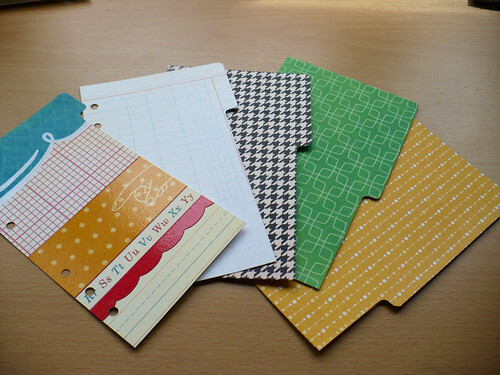 I tried making my own dividers, and I loved them. But they were too thick for the compact - I couldn't turn my pages well. I ended up moving them to my stay-at-home personal Malden. At least I still get to enjoy them!